THE RABS BILL IS CURRENTLY BEING DEBATED IN PARLIAMENT AND IS NOT LAW YET. RABS WILL HAVE NO BEARING ON HISTORICAL RAF MATTERS AND WILL NOT BE APPLIED RETROSPECTIVELY. SHOULD THE BILL BE PASSED AS LAW GERT NEL INCORPORATED WILL BE THERE TO ASSIST YOU. Johannesburg – After weeks of uncertainty about the Road Accident Benefit Scheme Bill, which the Department of Transport has proposed to replace the current fault-based Road Accident Fund, Treasury has announced it will finance the scheme after all. The proposed system – which replaces the current fault-based liability insurance system with a no-fault social security system – has been punted as being more efficient and economical. The Transport Department wants to cut out personal injury lawyers, who it says are profiting heavily from claims against the RAF – which results in extensive litigation, prolonged claims’ finalisation and high administrative costs. Rights groups, personal injury lawyers, Outa, opposition parties and the Association for the Protection of Road Accident Victims – which represents the SA Medico-Legal Society, SA National Taxi Council, the Orthopaedic Association of SA, the Occupational Therapist Association, industrial psychologists and the Clinical Neuropsychology Association of SA – argue that the proposed system will place a greater burden on taxpayers, require a steep hike in the fuel levy, offer fewer benefits to crash victims, and introduce more exclusions than the current system. It’s understood that the ANC wants to push through adoption of the bill before the 2019 elections. The public consultation process – described as a “sham” by critics – is complete and the bill was tagged to bypass the National Council of Provinces in an effort to expedite it. Du Bruin says in Limpopo – a province of eight million people – the public were given just three hours to comment. [Listen] Manny de Freitas on Cape Talk: “ANC Gives Thumbs Up To Crazy Drunk Driving Legislation”. How will the new road fund affect you? 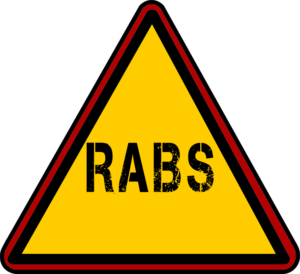 Legislation: Treasury concerns about RABS Bill to be addressed?